” We also track in a publication called “Mondays with Dexter.” How many people get that? It’s a weekly email. 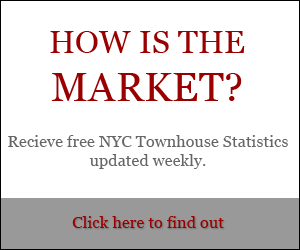 If you don’t get it, you can sign up in the back or on one of those sheets that you have, and every week we track how many townhouses were listed that week on the Upper West Side. If there is full absorption going on, if we are taking our average of our 55 sales, then there would be 55 houses that came on the market that year, as well. That has more or less been consistent over the years, other than back in 2005 when we had 102 houses came on the market. Only 55 sold that year. Otherwise, we are roughly in this 55 houses coming on the market each year, including in 2008, there were 55 houses that came on the market, of which 40 sold. So, we did not have the absorption that we would typically have had. This year, in the first five months we have 36 new houses on the market, so far and only 8 sales. So, you can see that we are getting ahead of the game with listings. What that has translated into is that sellers are becoming more aggressive and lower with their listing prices in the first place. People who, unfortunately, listed their property in September/October didn’t know what was happening with the market, and have had to do a number of price reductions. More or less, the water is finding its own level now, and buyers and sellers are agreeing on the prices, and we are doing transactions again. I think maybe as many as a half-dozen of our competitors have gone out of business. I like competing with them. I don’t like to see them go under. But we at Vandenberg had our best year last year. Again, it was mostly based on the first half of the year. Maybe I have to give credit to all of those expensive consultants that tell us what to do even though we only complete a small fraction of their suggestions. That’s the main statistic part. In terms of actual sales, the big sale I want to refer to is at 39 West 70th Street. A couple of things that were unusual about it: It was not on the market, I knew the buyer, and the buyer was seriously looking, wanted a house that was in a premium location and wanted a really nicely finished house. 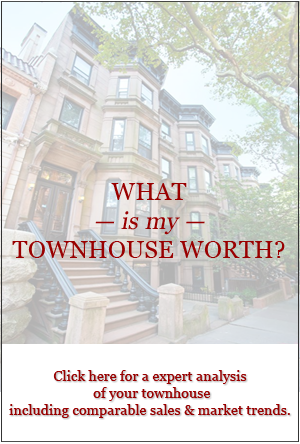 A lot of owners come to me and say, “If you get me $15M, I’ll sell you my house.” But, this was a negotiated price. The seller wanted more money than that. The buyer was a serious, educated buyer. They had seen everything on the market. They could have bought the 25-footers or even wider houses that were available. As a result of buying a 20-footer, though, they set a new benchmark for price per square foot: $2,280.00 a square foot. So that is now the highest price per square foot ever on the West Side. It did not break the record of the highest price, which is $15.75M. This was not one of so-called “quiet listings” that you are hearing about these days. It was not something that was being shown at all. It was just an owner I knew that I thought whose townhouse would be a good fit for this buyer, and it turns out it was. Another house also sold on 70th Street. This is interesting because we sold it twice, one and one-half years apart. This is the best example I can come up with what happened in the previous market versus today’s market. It’s a finished house, it sold one and one-half years ago, and we were involved in that sale for $5.1M. Now, we just closed on it again, the owners didn’t really change it appreciably, for $4.55M. That’s a decrease of 11%, which is a modest drop. I have other examples that are much more dramatic than that, but that’s one pure example. At one point a couple of weeks ago, we had four houses, signed contracts, on 70th Street, and we’ve never had that, where Vandenberg had four houses with signed contracts all on one street. It just seemed like an anomaly, but the more I was thinking about it today, during a time of contraction and when the market is pulling back, it makes sense to me that buyers would focus on premium streets. 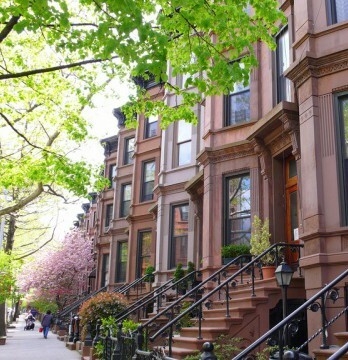 Buyers can get more bang for their buck at premium locations in a tightening market. Another sale that was interesting, it was written about in the Times actually, was 123 West 85th Street. We sold it in the fall, right when nobody else was able to sell anything. We sold it for $2.2M. We had it on the market at $3M, only a couple of buyers were looking, maybe one or two showings a week. No major interest. Then we dropped it to $2.2M, and for a couple of weeks there, we were getting 19 showings a week. We brought in seven very serious bidders, and one of them paid the asking price and closed in just a matter of weeks. So that was an indicator to us and to whoever was wanting to watch it that, yes, everybody was nervous about the market, but you show them a good enough deal, they’ll come running.